He couldn’t have made it at any other time. Charlie Chaplin in 'The Great Dictator'. Charlie Chaplin is understood to have confided to his friends that, had he known about the full horrors of the Nazi regime, he would probably not have got around to making The Great Dictator. When the Holocaust became common knowledge, Chaplin must have also felt that his craft was inadequate to render Hitler’s world in any known cinematic genre – political satire or vaudeville, burlesque or tragedy. The Great Dictator was conceptualised and filmed when it was still possible to make fun of the Fuehrer. Chaplin started shooting for the film in September 1939, just days after Germany invaded Poland. But he had been planning a movie on Hitler for years before that, and worked on his script through 1938-39. 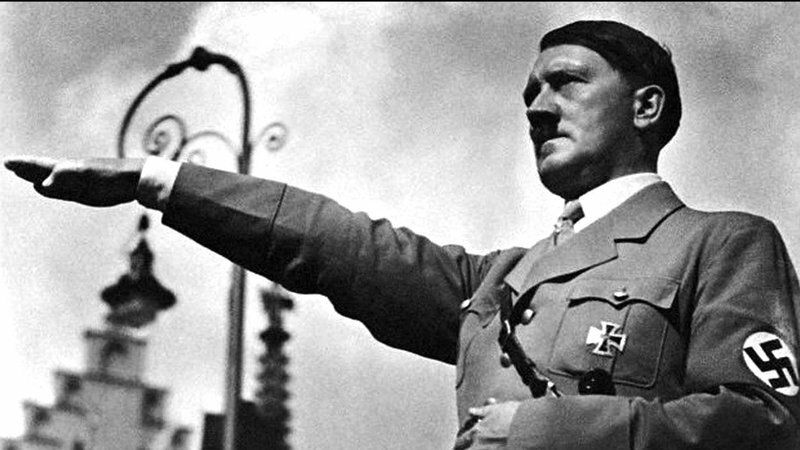 From Nazi newsreels, he had carefully studied Hitler’s mannerisms and the way he harangued large crowds. Chaplin also watched Leni Riefenstahl’s propaganda documentary Triumph of the Will (1935) several times over to make sure that he knew Nazi rituals well enough; his incredible talent for mimicry did the rest. The film shoot took a little over six months. By the time Chaplin sat down to edit and add the music tracks, Hitler was overrunning Belgium and Holland while France was gently nudging itself into surrender. When The Great Dictator released in the US in October 1940, London was being carpet-bombed by the Luftwaffe, Neville Chamberlain had already made way for Churchill as the British prime minister and Warsaw’s Jews were being herded into the first Polish ghettos. However, the tone of the film had already been set before the active hostilities began. A tragedy loomed clearly enough then, but few thought yet that it was the Armageddon. This perspective is important for understanding the satirical and political scope of Chaplin’s film. The ‘final solution of the Jewish problem’ was not only in the future, it had perhaps not begun to take shape as yet in even the most malevolent Nazi sensibility. Chaplin had set out to spoof the pompous bully who was absurd and arrogant, but not yet quite the hideous hangman history was to know him as. Hitler still regarded Mussolini with something of the awe that the disciple reserves for his mentor – this gave Chaplin the opportunity to flesh out a memorable love-hate-love relationship – and Mussolini’s precipitous invasion of Greece, which annoyed Hitler no end, was not to happen before end-October 1940. 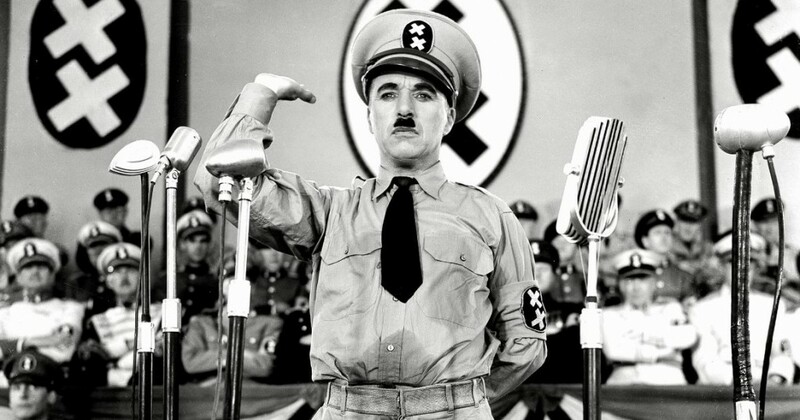 The Great Dictator can very well look a tad too light-hearted today; the fact that an uproariously funny story is being told around what can only be described as unmitigated evil can surprise its modern-day viewers. But it is undoubtedly a film true to its time. And The Great Dictator is much more than a parody. It is a stirring denunciation of fascism’s core principles – xenophobia, intolerance, bigoted nationalism and anti-Semitism. It is funny, but its world is intrinsically violent. Hynkel is often nervous, even shy, but in the presence of his pretty secretary, his predatory instincts are aroused in a trice. Holding her in a tight embrace, he digs his teeth into her neck with sudden vehemence, the whole act looking more like the tearing of flesh than love-making. The utter casualness with which he gives up his prey when the telephone buzzes suddenly makes the scene even more chilling. Nothing in the film is quite as frightening as the sight and sound of the ludicrous Hynkel casually ordering the execution of three thousand striking workers. Chaplin plays around marvellously with this crossover between rollicking humour and unmixed horror. Wood has pointed out how the harmless barber waving a razor over the bare throat of a customer looks more murderous than Hynkel ever does in the film. But the masterly mixing of the strains of Johannes Brahms’ ‘Hungarian Dance no 5’ into this edge-of-the-seat scene adds that piquancy which is signature Chaplin. Again, as the barber sets out on his first date with Hannah, the storm-troopers arrive to get him. A long shot shows the SS men approaching the couple from one end of the street. The barber stops dead, turns around and heads in the other direction nonchalantly, as though nothing was the matter. Another long shot captures another SS column closing in on him from the other direction. Now in panic, the barber scrambles for safety, running first this way and then that, and the camera pans back a long distance before an aerial shot shows him being swept up by an avalanche of burly SS men. As masterful as the casual mixing of horror and humour is the blending of the ridiculous and the sublime in The Great Dictator. Gracefully, even tenderly, Hynkel performs the unforgettable balloon-ballet with Wagner’s ‘Lohengrin’ playing softly on the soundtrack. But then he slips on to a tabletop, and goes on bouncing the globe-balloon off his behind, with loving care, a dreamy, enchanted look frozen on his face. When finally he tries to get both his arms around the balloon, it bursts with a scream in his face. Charlie Chaplin in ‘The Great Dictator’. Again, as the fugitive Schultz plots Hynkel’s assassination while sheltering in the ghetto, a serio-comic drama plays out around a noble enterprise. Each of the ‘volunteers’ (Schultz smartly rules himself out right at the beginning) pledges himself to the great project, but is aghast when he finds the fateful coin in his pie. The scene soon turns into a boisterous farce. The Nazis hated Chaplin, because they found his humour irreverent, subversive – hardly the kind that promoted the ‘wholesome family values’ so beloved of Hitler. In his 1931 trip to Berlin, Chaplin proved hugely popular in Germany and, though the Nazis did not like his spectacular success in all his public engagements, there was not much they could do at that point. After Hitler rose to power, however, things changed dramatically for Chaplin, as they did for many other popular artists, German and non-German. In 1935, Goebbels banned The Gold Rush in Germany, presumably because the film ran counter to wholesome family entertainment. Even before that, in 1934, Goebbels had authorised the publication of a slanderous little book titled The Jews are Looking at You which, among other choice epithets, described Chaplin as “a disgusting Jewish acrobat” (Chaplin was not Jewish, though). Chaplin had seen the book, and it is safe to assume that his resolve to make a film around Nazism hardened because of it. Given this background, he could hardly have chosen to play a part in the film that was non-Jewish. And Chaplin being Chaplin, he decided to deliver the coup de grace by playing Hitler as well. It must have been with grim satisfaction that he wrote into one of the opening credits of The Great Dictator words that dripped with irony: “Any resemblance between Hynkel the dictator and the Jewish barber is purely coincidental”. Of course, Chaplin wanted his audience to not look at the dictator and the barber through the same eyes. He expected the audience to laugh right through the film, but he hoped that while the viewers would laugh with the barber for the most part, they would laugh at Hynkel with derision, loathing and worse. 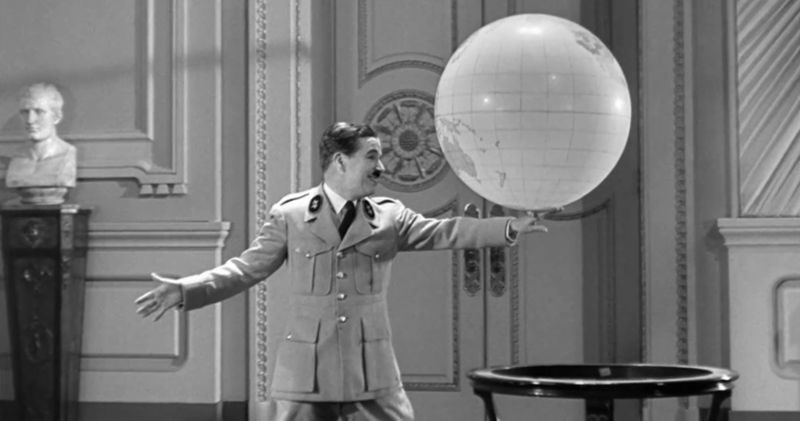 The Great Dictator represented another momentous event: it was Chaplin’s first ‘talkie’. (Modern Times in 1936 had a character screaming at people from a giant TV screen for a few moments, besides the inspired nonsense of the tramp’s song at the cabaret. But it remained a silent movie otherwise.) Chaplin seems to be exploring the enormous potential of his new ‘device’ with great relish here. Hynkel’s public speeches are pure genius. He speaks a mock German that bristles with coughs, sibilants, gutturals and splutters, with occasional identifiable words like sauerkraut (pickled cabbage) and schnitzel (fried meat slice) thrown in with gusto. It is pure gibberish delivered at an extremely, feverishly high pitch – so much so that the microphone itself cringes on its stem. In another scene, Hynkel dictates an official note to a typist in a matter-of-fact manner. He is speaking aloud while she is taking it down on her typewriter. When Hynkel spouts a long, solemn sentence, she knocks out just a couple of letters. But when he offers only a monosyllable, she types furiously for several lines, clanging the machine as she works it intently. Hynkel looks on, amazed, but she remains completely unruffled, business-like. This playing-off of sound against meaning is an idea that could only have occurred to someone who was transitioning from silent to talking films, but it is hard to imagine anyone else picturising it as brilliantly as Chaplin. The film’s last sequence, of the barber speaking as Hynkel to his victorious troops, is an audacious piece of cinematic thinking. The speech’s content is perched on the edge of mawkishness, and as it begins to crescendo, it sounds very nearly shrill. And yet, in the end, Chaplin pulls it off magnificently. The barber hesitates, approaches the microphone apprehensively, and begins speaking haltingly. As he does that, the frame slowly sheds its sharp focus, becomes somewhat bleary, over-exposed, fuzzy. As his speech gains in passion and force, the speaker himself is no longer very real himself, and as Hannah looks up to the sky, the screen is bathed in a soft, other-worldly light. This is neither Hynkel nor even the barber speaking here, but Chaplin himself stepping in to deliver his own message as the creator of the movie. Come to think of it, this could have been the only way The Great Dictator could have concluded. For years before the film was made, cartoonists had exploited the quite remarkable resemblance of Chaplin’s moustache with Hitler’s. Chaplin was, of course, all too aware of it himself (which is why he thought of casting himself as the dictator). He knew that, with the minimum of effort, his face could be touched up to look like Hitler’s. And he also knew that the similarities stretched beyond their physiognomy: they were born within four days of each other – Chaplin on April 16, Hitler on 20, both in 1889; and both rose from poverty and neglect to power and prominence. Of course Hitler was not only a madman. Nor was Chaplin merely a comic. But in The Great Dictator, the intersection of insanity and laughter produced a memorable movie. Chaplin says he couldn’t have made the film except in 1938-39. We are grateful that he made it when he did. 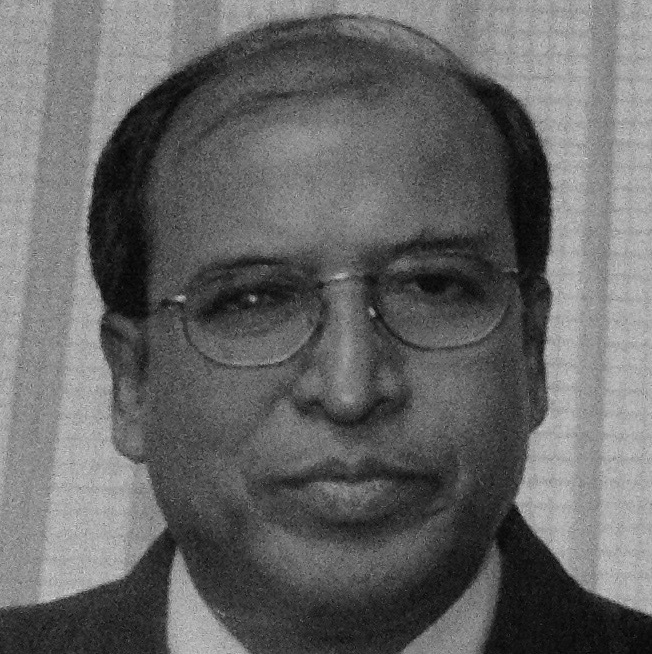 Anjan Basu is a literary critic, commentator and translator. He can be reached at basuanjan52@gmail.com.